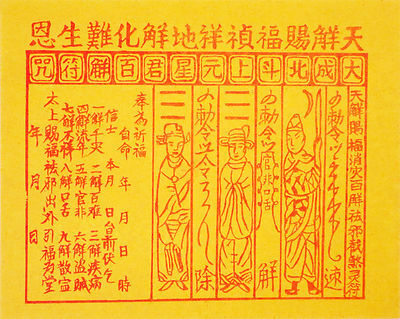 Joss paper goods, sometimes marketed as "Joss Materials" or "Spirit Papers" include Hell and Heaven Bank Notes and funerary clothing and "transit papers" for spirits used by those working within a variety of Taoist traditions in China and South Asia. 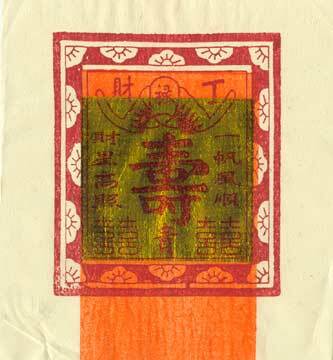 Here is another type of Joss Paper we carry. 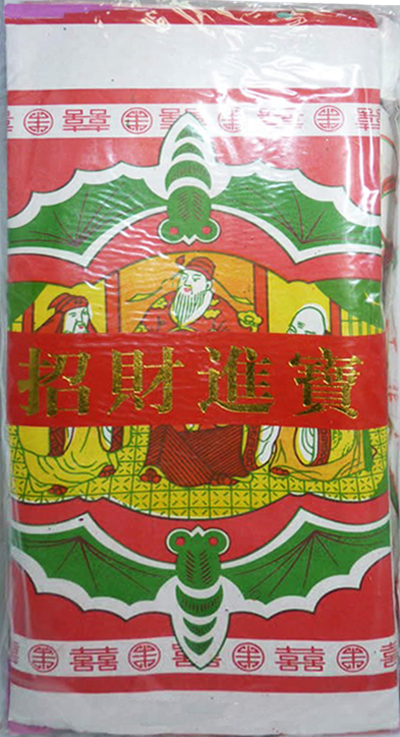 This is LARGE joss paper and what you see here is a detail of about 1/12 of a sheet -- each sheet is made up of multiple blocks of images and text. 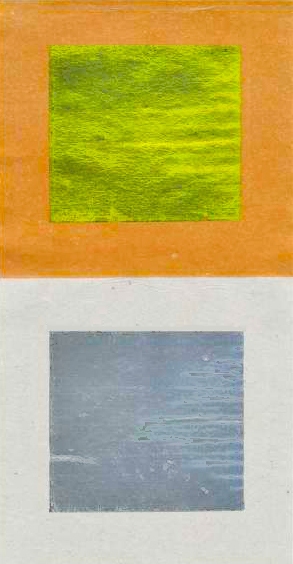 Yellow Giay Dai Bach Giai Large Joss Paper 21" x 31"
I love using Hell Money in my work with my Ancestors, and I've used small bits of joss paper for petition papers before. These designs are beautiful! I'm going to have to get some with my next order, especially the Star Gods paper with the bats. 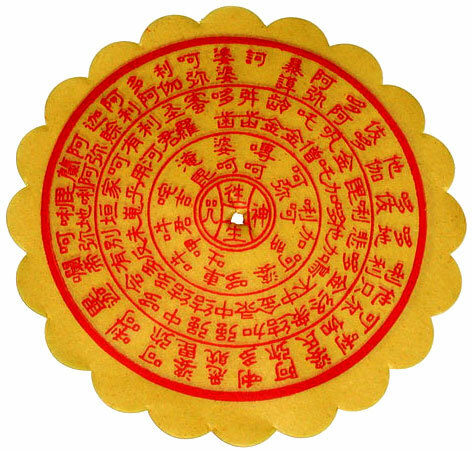 FYI: I was told by an Asian man at the local Chinese Market that the gold squares are used for prayers to the Gods or venerable ancient Ancestors, while the silver squares are for prayers to spirits of the land or close relatives who have died. 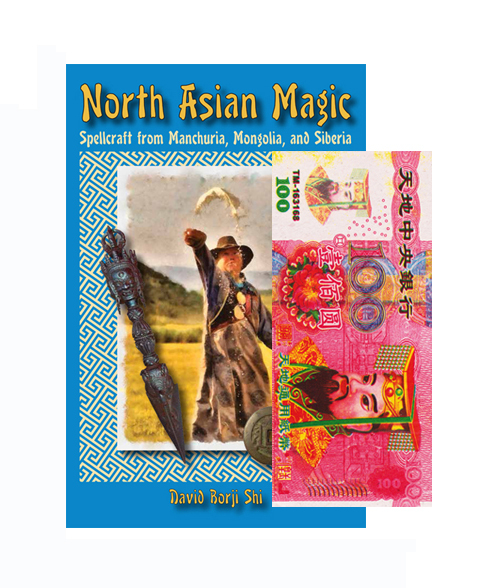 A package of Taoist Hell Bank Notes -- plus the book "North Asian Magic: Spellcraft from Manchuria, Mongolia, and Siberia" -- is the winning combination in Lucky Mojo's Facebook Fridays! giveaway for Friday, September 14th, 2018.